« Custom Technical University, working on vacation. 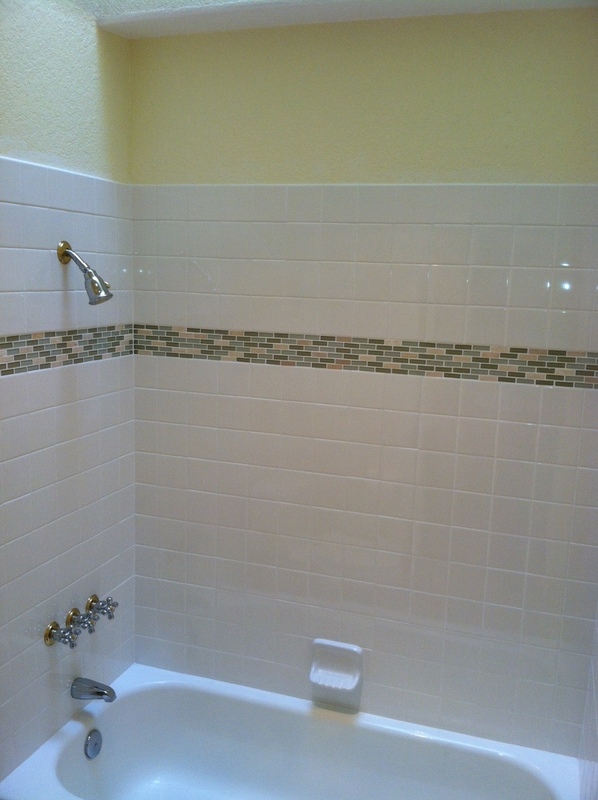 Hamilton Tile and Stone recently completed another waterproof shower in the Temecula Valley. The home was sold and under time restrictions to get the leaking shower rebuilt as part of an agreement between the seller and new owner. 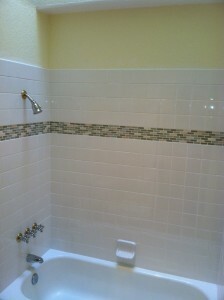 Without completely redesigning the bathroom, we were able to match the counter top tile and rebuild the shower to match. An added touch of glass and travertine mosaic was added to help match the existing travertine floor tile. My customers were pleased that we were able to complete the project before the inspection date. A fresh clean look in your bathroom is always a bonus when selling your home. This entry was posted in Uncategorized and tagged Backsplashes, Flooring, Murrieta Tile Contractor, Showers, Stone Contractor, Temecula, Temecula Tile Contractor, Tile contractor. Bookmark the permalink. Both comments and trackbacks are currently closed.